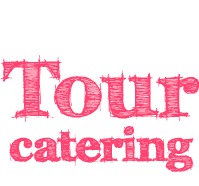 …From Artist rider fulfillment and set up to carefully prepared Driver meals and bus stock; we understand the importance of your tour’s catering component; our goal is to provide you and your staff with top quality nutrition and a stress free environment, so you can focus on logistics and the task at hand. With over 10,000 gigs managed worldwide from our offices in NYC and Toronto, we have the experience to exceed your expectations …on time and on budget …every time. The Rolling Stones World Tours (Voodoo Lounge,No Security, Bridges to Babylon, 40 Licks and A Bigger Bang), U2 World Tours (Pop Tour, Elevation and 360 Tour), CSNY, Prince and Madonna. …from Drake, Rihanna, Bryan Adams to John Mellencamp …we give your tour the fuel, to blow ‘em away!